Laser breath, you didn’t get that in the 80s. 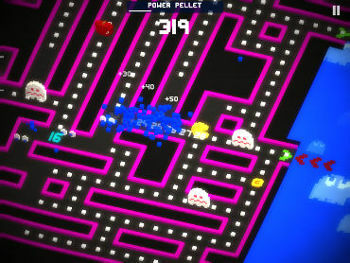 Today we’re taking a look at PAC-MAN 256 an iOS/Android version of the classic 1980s arcade machine. It’s developed by the creators of the popular Frogger inspired time squanderer ‘Crossy Road’ (Hipster Whale) and follows the same premise of a never ending playing field, as long as you survive you’ll get more maze to chew pac-dots in. To add to the fun the maze is constantly being ‘eaten’ upwards from the bottom by the ‘creeping glitch’. 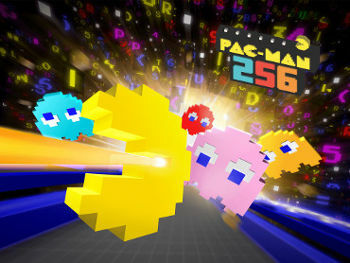 This is a great touch harping back to the original Pac-Man that contained a bug on the 255th level. This bug was caused by the level counter being stored in a single byte that could only store numbers up to 255. As soon as this number was incremented overflow occurred causing all hell to break loose. Half the screen became covered with letters, numbers and graphic fragments and playing on became impossible. 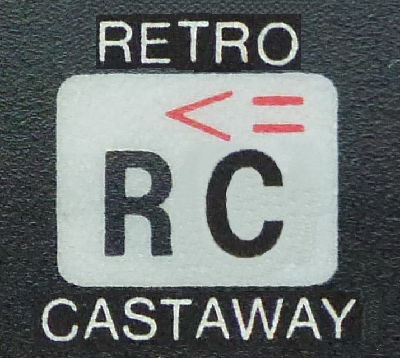 The developers of PAC-MAN 256 have copied this and turned it into a creeping maze eating tide of destruction complete with menacing electrical crackle. Get caught in it and it’s curtains for you so you can’t hang about enjoying the partial 3D overhaul that the graphics have been given, you’ve got to stay on the hoof. The other big change here is that you can power up with some particularly satisfying hardware. There’s a laser that vaporises any ghost in your way and a bomb that explodes to annihilate any ghosts in range. In addition there are plenty more power-ups added along the way. You have of course still got the trusty old power pill allowing you to turn the tables on Pinky and his mates if only for a short while. It’s free to play with credits buying you power ups and the right to continue a game. You can buy credits, earn them in the cold hard corridors of the maze or you can just wait for the credits regenerate (one every 10 minutes up to a maximum 6) over time. Not so cocky now, are we? Additionally you can also earn credits by watching adverts some of which are particularly loud and irritating (think blipverts from Max Headroom) but all seems worth while when you crack open your reward and hit the maze again. You can also buy surprisingly pleasing alternative themes that skin the game including a classic smooth 80s look, a garden with lady bird ghosts or the CEDX theme that is reminiscent of Tron. 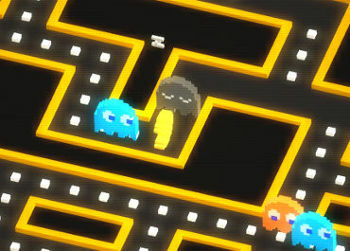 In summary this is a great version of Pac-Man. The swipe direction control system (as used on Crossy Road) works even better here as you are channeled down the corridors of the maze meaning your last swipe is used at the next available turning. Due to the tie up with Bandai-Namco everything feels authentic down to reworks of the original theme music and sound effects. It’s incredibly addictive, very retro and comes highly recommended by us, just look out for that swine Pinky, he is quick.